Bruce’s practice is wide ranging. He advises clients regarding the selection and formation of business entities; corporate governance and fiduciary responsibility; transition planning, including buy and sell agreements, first rights of refusal and restrictions on the sale of equity interests; resolution of disputes involving minority rights and involuntary dissolution; the negotiation and documentation of stock and asset-based transactions involving the purchase or sale of operating divisions and stand-alone business entities. He has extensive experience in the negotiation, documentation and enforcement of a broad range of business agreements and commercial matters, such as the provision or sale of goods and services, the licensing of intellectual property, equipment leasing real estate leasing and the purchase and sale of agricultural commodities. His work includes agreements relating to employment, including the negotiation, documentation and enforcement of covenants regarding confidentiality, the use and disclosure of confidential information and competition. 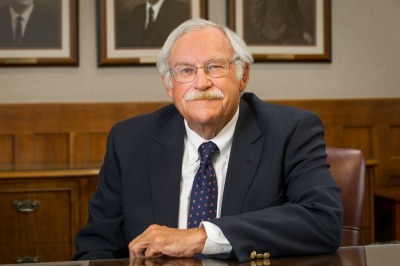 He represents public and private sector clients in the labor and employment area including school districts, community colleges and public universities in connection with organizational campaigns and unit determination; grievance resolution; the negotiation, documentation and enforcement of collective bargaining agreements; and has had extensive experience in litigation before the Nebraska Commission of Industrial Relations. Bruce’s practice also includes wills, trusts and fiduciary administration.